It is well known that many species of lizard, turtle and crocodilian require ultraviolet light of a specific wavelength (290-310 nanometers) in order to synthesize Vitamin D3. 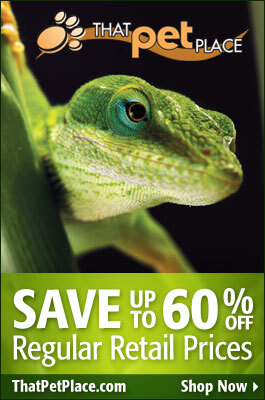 This vitamin, in turn, allows the reptiles to make use of the calcium in their diets. Such reptiles (which generally bask in the sun in the wild) develop calcium deficiencies and a host of related problems if denied UVB in captivity. This occurs despite their being offered a diet high in calcium. Day geckos of the genus Phelsuma seem to require quite high levels of UVB in captivity. Several species, and gravid females in particular, develop bulging “chalk sacs” (calcium stores) behind the head, and are quick to succumb to health problems in the absence of UVB. Some years ago, however, I observed a situation that caused me to question what I knew, or thoug ht I knew, about this subject. 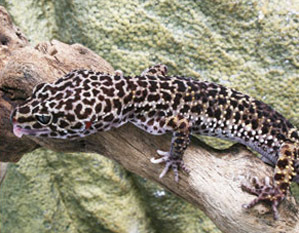 A number of Madagascar, Madagascar Giant and Standing’s Day Geckos were released into a densely-planted indoor “rainforest” in NYC’s Central Park Zoo. The lizards thrived and reproduced, and, when last I checked, had been doing so for several generations. Animals that are captured from time to time exhibit excellent bone density and overall good health, despite the fact that they have no access to natural or artificial UVB. The aviary in which they live supports a wide variety of spiders, beetles, roaches, sow bugs and other invertebrates, as well as nectar and fruit producing plants. I imagine that the lizards, amid this banquet, have found a source of calcium that is usable in the absence of UVB, or D3 that can be absorbed from the diet. I will keep you posted as to further developments. I have since spoken with lizard-keepers who maintain day geckos without UVB. However, as we know little of the interaction between calcium, phosphorus and Vitamin D3 in these animals, a good deal of experimentation is needed, and the results are spotty. The lizards at the Central Park Zoo are the most robust I’ve seen, and the population has remained so for 15 years or more at this point. Red-eared Sliders, Chrysemys picta elegans, also suffer from calcium deficiencies if unable to bask under a UVB source – yet I know of a number of instances in which perfectly formed specimens were raised without such. Again, I can only guess as to the explanation. I tend to encourage dietary variety in my nutrition articles, due in part to experiences such as described above. We really know very little about many common reptiles and amphibians, especially concerning nutrition. I would greatly appreciate hearing about experiences you may have had – good or bad – regarding UVB light and diet.